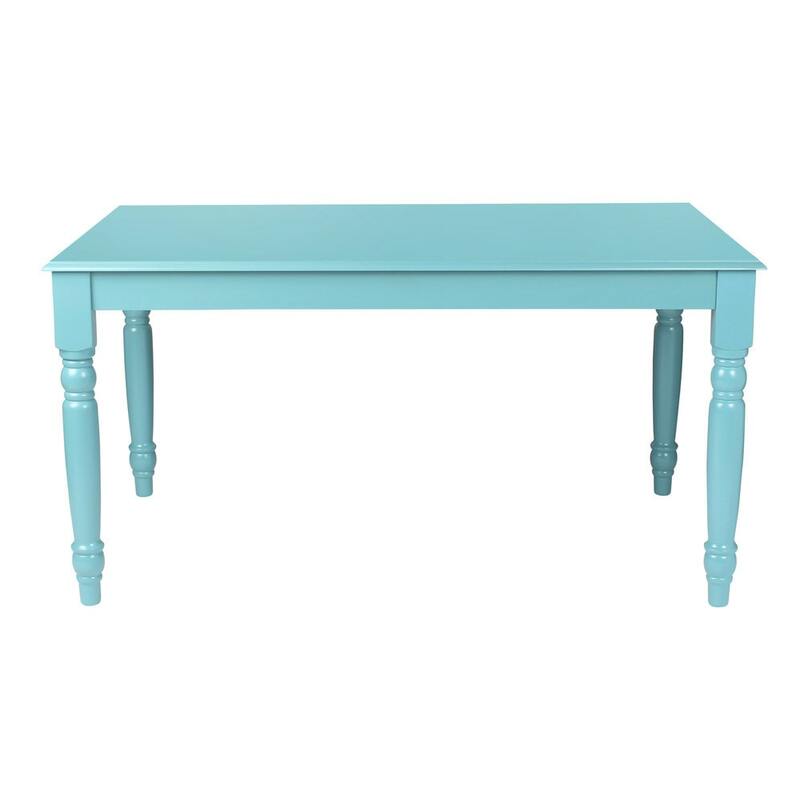 This oversized wood table has thick solid turned farmhouse legs for a perfect update to the classic dining table in your home. The wood table stands 30.125 inches high and is 58 wide and 35 inches deep. Alternately, this table can be used as a large open work area. Allow your creativity to flourish with a big open workspace on this designer desk. This stylish table is great for your home office by day and dining table night!